Every story needs an entrance sentence but this one not. 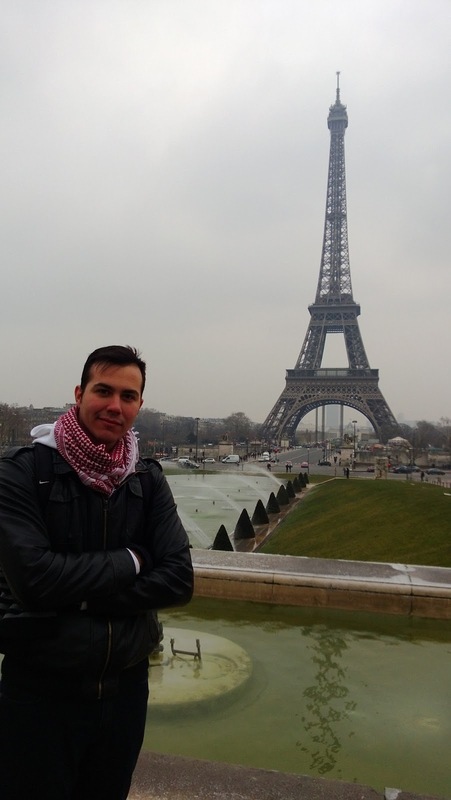 I said just word but also don’t believe me there is no enough word to describe this city which called as “Paris”. I don’t know how to start but we just took the bus from Kortrijk, Belgium at 7.30 am and the journey started. 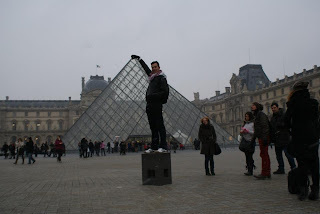 I didn’t remember the time when we arrived Paris but first I saw the “Stade de France”. It was amazing and standing over there with all its glory. Then “Charles de Gaulle” and “Avenue des Champs-Élysées”. They were all fascinating but when bus stopped and we get out of bus we felt the freezing weather and the wind inside of our lungs. It was 25th of February and if you are planning to go Paris at this time too, I offer you to think about one more time. My luck, I had a great team and well planned a city tour. First of all “Eiffel Tower”. It was really hard to wait on line all this time but it was worth it. If you are under 24 years old, using both two elevator to the top only 12, 5 euro. The first elevator only goes to the second floor. At the first floor there were a restaurant and a café but I didn’t get inside of these palaces because I had a limited time so passed to the second floor. It was so windy and cold but you can see the whole city and the “La Seine”. The river was like a snake and it curled up all over the city, Paris. And we took the second elevator to the top. 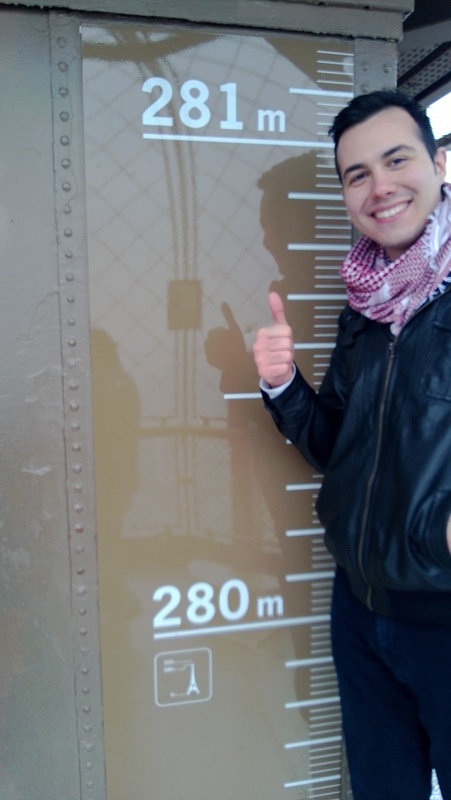 It was amazing experience to see the all construction and the city from inside and if you have two friends who have acrophobia it will be so funny for you too. 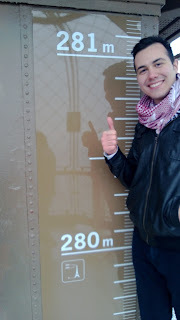 And after all these sentences we were at the top of Eiffel. 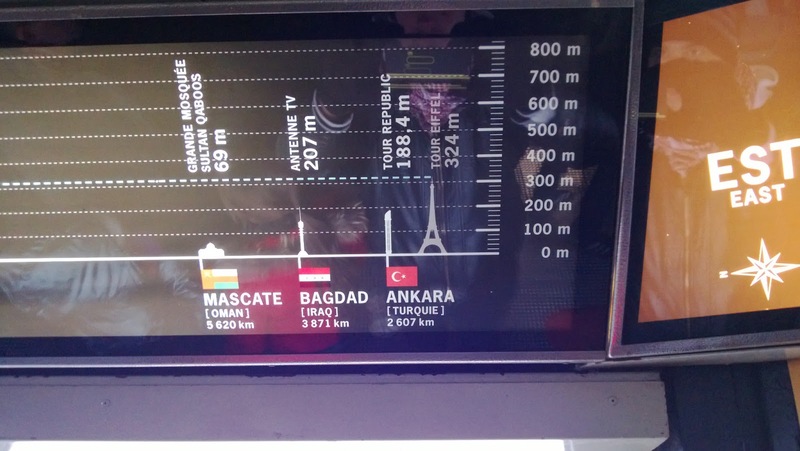 You can watch the city and search for your flag on the top of Eiffel for comparing the tallest building that located in your motherland with Eiffel. And of course, there is a descent of each sortie. After Eiffel we went to “Arc de triomphe de l'Étoile”. It looks so small on the photos but it was really huge and for sure we passed to one of the famous avenues on the world “Avenue des Champs-Élysées”. If you are a fashion addict don’t go this avenue. You can leave this place without 50 cent. Ferraris, Porches, Mustangs, Audis whatever you want, all brand new cars, all brand of fashion, Luis Vuitton, Massimo Dutti, Channel, D&G… This was like a dream. 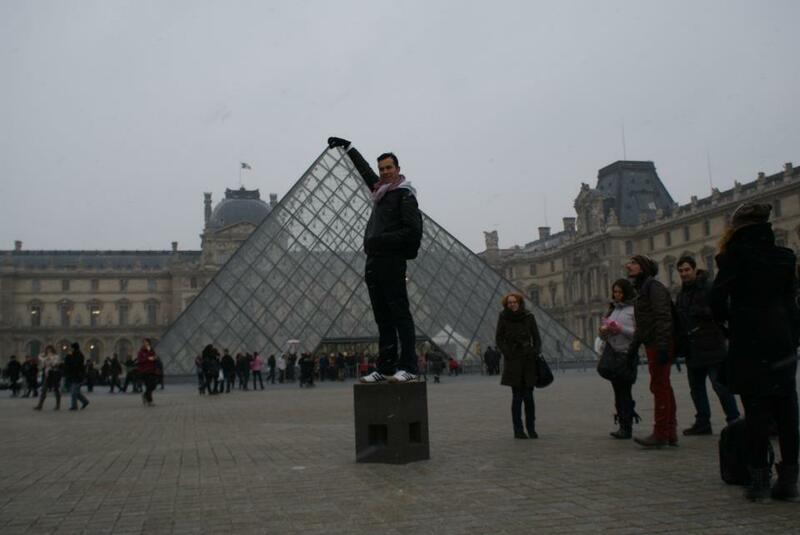 We walked whole way to till the “le Musée du Louvre”. We also didn’t get inside the museum but like all other people we tried to take a photo while touching the top of the famous pyramid of Louvre. 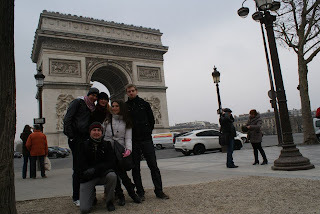 First it was torture to take a one photo but at the end we all did it :) We preferred to walk on the streets of Paris because we want to feel the soul of the city and we felt it was cold because of weather. You can also use metro system to reach all these places. 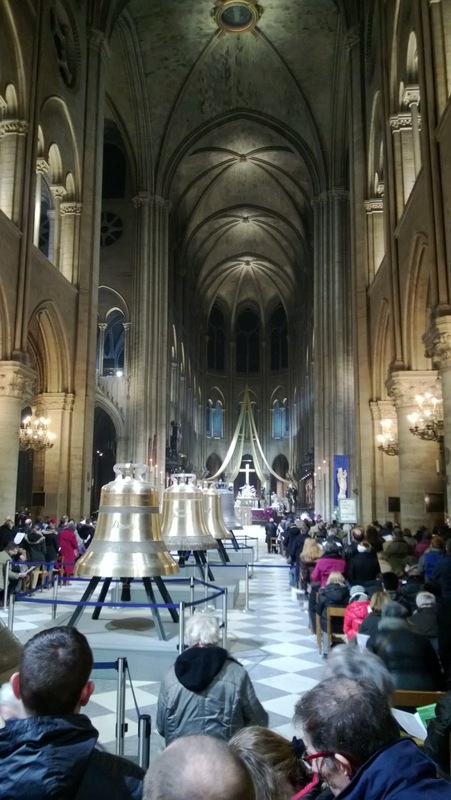 And we walked to “Cathédrale Notre Dame de Paris” and the time passed so slowly. If you have fun like us, you can’t understand how the time flies away. 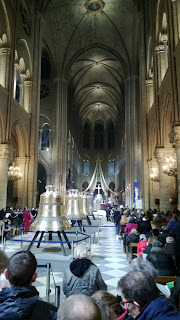 My luck again, there was a ritual in Notre Dame. This was my first time to see a ritual in a cathedral or a church. We get out of the Notre Dame it was the evening and we started to see all lighting on buildings and the Paris started to being more sensational. 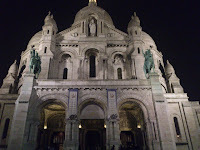 We had three hours left for the returning and we took a metro for the last part of our journey “Basilique du Sacré-Cœur”. 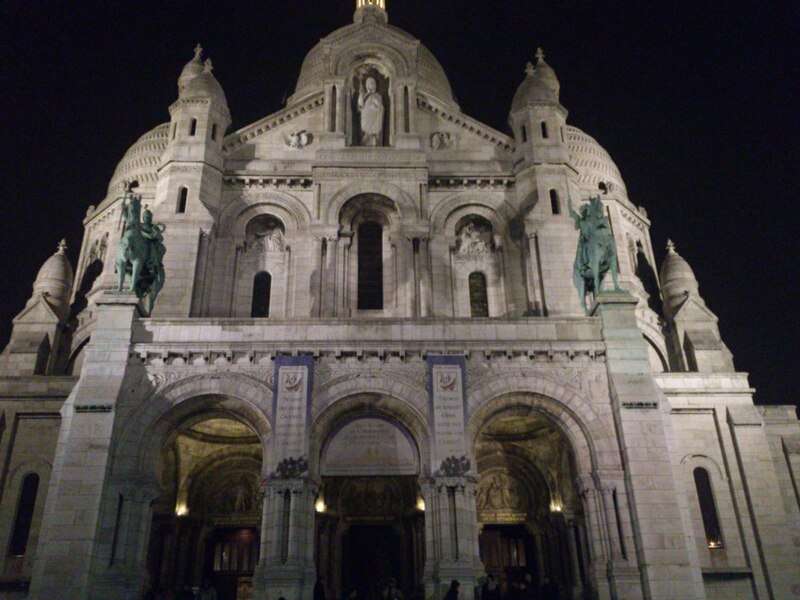 Very nice basilica to see. Also the paintings inside of it on the ceiling and the walls were amazing. Every square centimeter of them made with full attention. When you see them you will understand the meaning of these sentences. And sadly we took the train to the station Concorde to reach our bus. The trip was really funny, emotional, and of course fascinating. 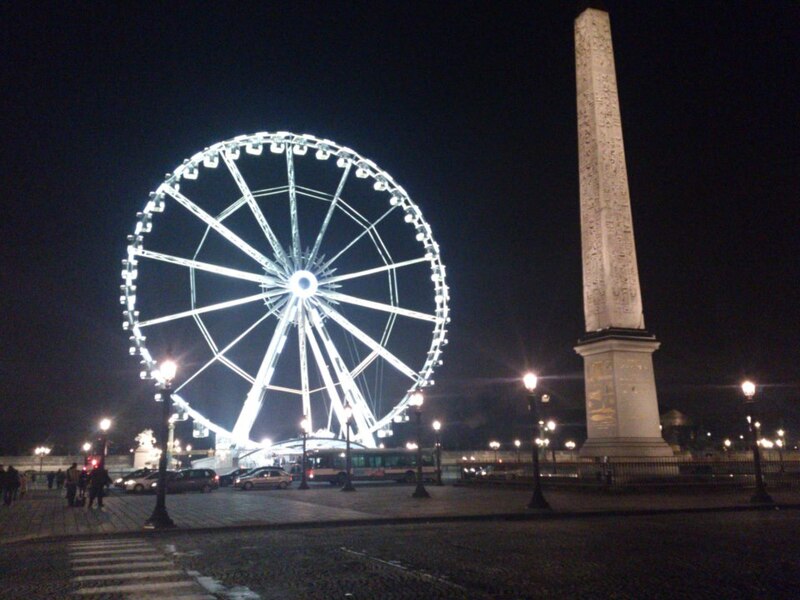 I wish everyone should see this city, Paris. 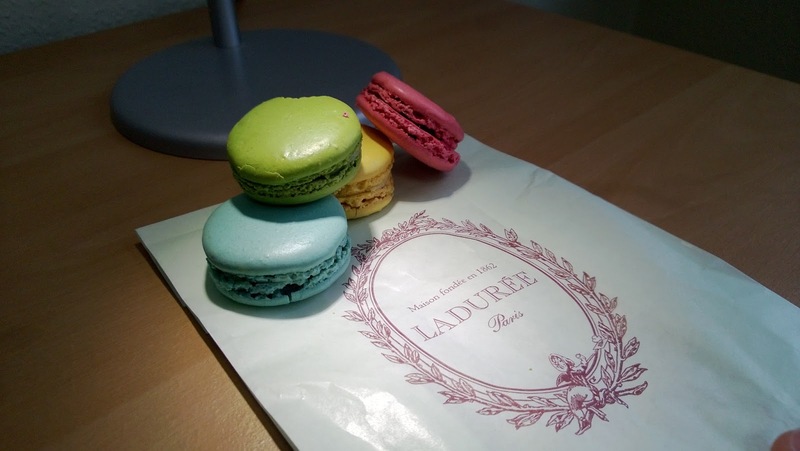 And the last advice if you have enough time, just stop at the “Laduree” on Avenue des Champs-Élysées and taste all kind of sweet things inside of this shop. I hope you enjoyed my writing.